I'm all about classic pieces. Looks that set the tone, make people look twice and make a style statement. And for men, I have to say, there's just something about a good suit. I mean, look at these gents below. Seriously. They know how to rock a suit. 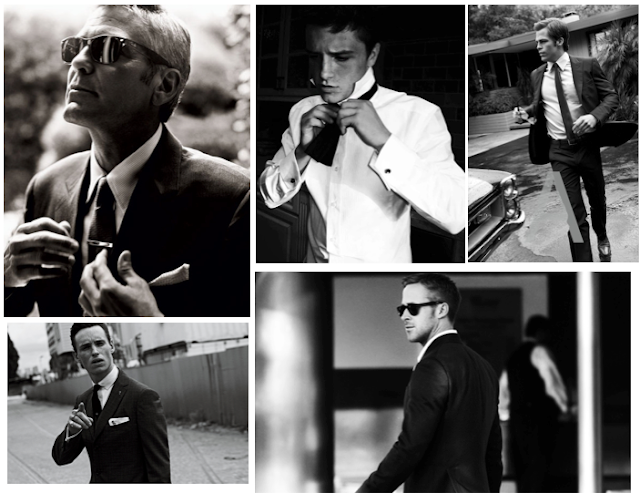 Stylish, classic, dapper and outrageously handsome, there's something to be said for a man wearing a suit. And especially in the dead of winter, a suit on any man is a great idea. Also, if you're obsessed like me, check out newest Tumblr obsession, Guys In Suits. Whoever made this is a genius. And is now to blame for all of our mindless drooling and lack of productivity.